In 1999, philanthropic discussions changed forever. 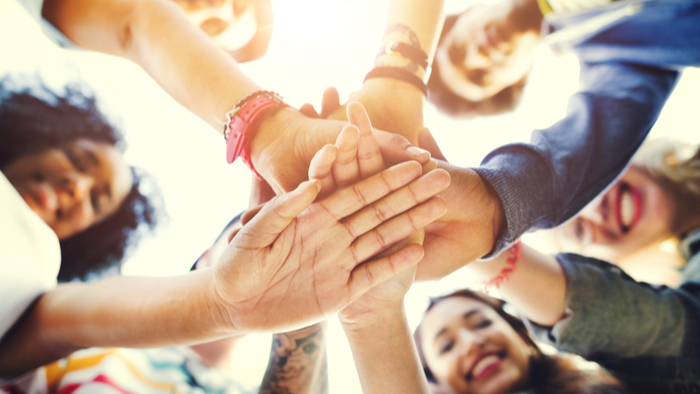 “The wealth transfer research brought the conversation into a public discourse that these funds are imminent, that the next generation is going to step into stewarding wealth for some people and for others, philanthropic resources,” said Sharna Goldseker, executive director of 21/64. Goldseker, a next-gen donor, embarked on a journey to determine what her philanthropic identity would be and the role she wanted to play. Along the way, she met others in a similar place. Up-and-coming donors grappled with their responsibility, the possibilities before them and the success of those who came before them. After a decade, Goldseker decided it was time to elevate the voices of her peers. 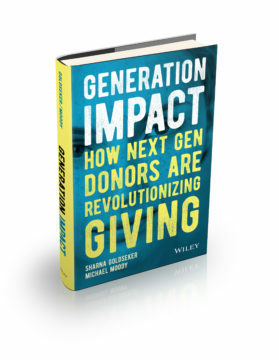 In 2017, Goldseker published “Generation Impact: How Next Gen Donors Are Revolutionizing Giving” with co-author Michael Moody. It features first-hand accounts from a baker’s dozen of next-gen donors from a variety of backgrounds, including Code.org.’s Hadi Partovi, The ImPact’s Justin Rockefeller and Victoria Rogers of Creative Time. Giving Compass spoke with Goldseker about the next generation’s approach to giving, how entrepreneurship has led to earned wealth earlier in life and her role in helping donors clarify their philanthropic identity. Here are edited excerpts from the conversation. Q: Are there large differences between next-gen donors with inherited wealth versus earned wealth? Q: Is there a difference between east coast and west coast philanthropy? A: There’s less of a history or tradition of philanthropy [on the west coast] and so in some ways, it takes a little bit more to engage the next generation because there isn’t the same momentum over the generations. On the other hand, they felt like there were less sacred cows to be honored and repeated, so maybe more opportunity for innovation. Q: Did anything change over the course of your research? A: We did interviews with 75 20- and 30-somethings over the years and … many of them are in stages of stepping into their philanthropic responsibility. Seven years later, we found a number of them stepped into the role of board member, chair of the board, started their own fund, set up their own scholarship program. I noticed a number of people we interviewed who are anonymous in the book … are now becoming faces of next generation philanthropy in a more public way. Q: How are previous generations engaging the next generation? Q: Has this research affected your personal giving? A: I try to walk my talk. Each year, for example, I bring home my tools, my motivational values cards — and with my husband, we look at the deck anew and think about the values that are priorities for us. Then we have a conversation about our personal giving for the year. How are our values aligned with our giving? Q: What advice would you share with donors interested in engaging the next generation? A: Storytelling, passing down family narratives, is actually one of the most important best practices we can abide. Making the time to tell your children and grandchildren, your nieces and your nephews the family story is really important to their own sense of self and their own sense of self-esteem so they can then build their own identity and feel a part of that intergenerational narrative. It costs about $2 to fully protect a child against measles and rubella, making the vaccine one of the best buys in global public health. Yet, in low-income countries measles kills more than 110,000 people annually and impacts 20 million more despite the availability of this highly effective, inexpensive vaccine. Here we profile one large-scale effort to eradicate these contagious and deadly diseases. The Measles & Rubella Initiative is a partnership founded in 2001 by the American Red Cross, the United States Centers for Disease Control and Prevention, the United Nations Foundation, UNICEF, and the World Health Organization. It works in close collaboration with governments and other organizations to implement measles elimination and rubella control activities in 77 priority countries. This initiative provides a strong return on investment given the impact achieved for the relatively low cost and resources it requires. Since its inception, the Measles & Rubella Initiative has vaccinated more than 1.1 billion children against measles. The number of measles-related deaths has decreased 79% from 546,800 at the beginning of the century to 114,900 in 2014 with an estimated 17.1 million lives saved and an increase in global measles immunization coverage to 85%, from 72% during this same time period. You can support nonprofits working to train health workers, develop functional health systems, and educate the public. These activities ensure that children in even the most hard-to-reach places receive vaccines. Using their mobile phones, U.S. residents can text PREVENT to 90999 and donate $10 to vaccinate 10 children for measles and rubella. Or donate any amount online. Read the full article about the measles and rubella initiative at the Center for High Impact Philanthropy.